I love finding solutions to everyday problems. 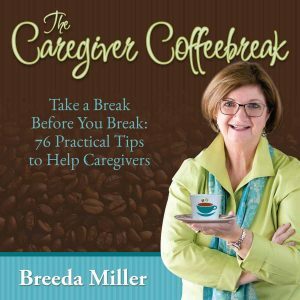 As a caregiver it seems like every day there are new challenges and problems to solve. 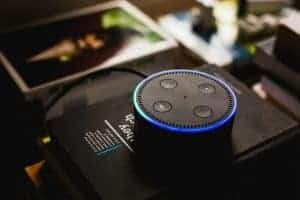 One of my dear friends shared with me her recent experience with technology that has surprised and delighted both her and her 101-year-old mother. Here are her unsolicited comments regarding the Amazon Echo. There are other similar products available to consider as well. Last week we got my mom an Amazon Echo so that she can listen to recorded books. As you may remember, she has macular degeneration and has trouble seeing and also has trouble feeling buttons. This device is PERFECT for someone like her. All you have to do is say “Alexa (whatever you want to know)” It can tell you the time, give you the temperature, tell you when and who the Tigers are playing and what the last score was. You can tell it to remind you when it is a certain time or that you have an appointment that day. You can also ask it any kind of question. Last week I asked it what a certain drug was that mom was taking and it gave me all the info I needed! The book part is the best. You can tell it to start, stop and resume, so it knows where you left off. She is enjoying it and has leaped into the 21st Century. Definitely would recommend it. Sometimes there is help available to us and we are not even aware that it can make a difference in the quality of life for ourselves and for those in our care. Whether it’s a lighter, smaller wheelchair, a sturdier shower chair, good grips in the bathroom or lightweight ergonomic cutlery, there are many products available to make life as a caregiver just a bit easier. Keep an open mind and try something new – you never know when you will have an A HA Moment. When you do, please share it with me and I will help spread the word.